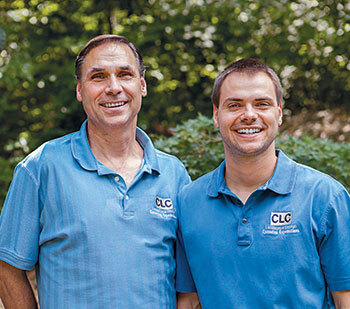 Rich Cording Sr. (left) and Rich Cording Jr. run CLC Landscape Design in Ringwood, N.J.
Party prep has been a fun and easy add-on for CLC Landscape Design. 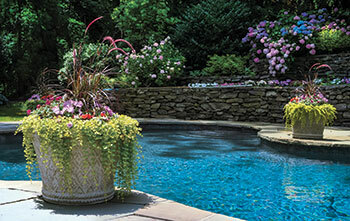 After being asked several times to help clean up properties before clients’ parties or events, Richard Cording Sr., LIC, owner of CLC Landscape Design in Ringwood, N.J., realized he had a new service on his hands. Though it remains small—less than 1 percent of the company’s revenue—Cording says it leads to bigger jobs. Party prep is all about getting a client’s backyard looking nice for an event. CLC preps yards for graduation parties, summer barbecues and even weddings, which is when the service gets slightly more involved, Cording says. Overall, the jobs are simple. The service typically includes edging, mulching and planting flowers. Cording also has had some customers rent planters. There was zero investment in adding party prep, he says, as the company already had the manpower and equipment. The jobs are priced based on time and materials. They typically take a half-day to a full day, depending on the size of the project. CLC began advertising party prep as a service under its fine gardening division three years ago, though it had performed the service before that. Party prep is listed on the company’s website under its maintenance services. Finally, CLC sends postcards promoting its fine gardening division, Cording says, and party prep is listed among the other services. The company has mailed approximately 12,000 of those postcards this year, with the goal of securing more monthly fine gardening work. While many jobs are one-time gigs, Cording says some clients have annual summer barbecues and often call back yearly. Plus, he says the best part about the service is that it has led to other work. After a successful party prep job, his company even gets the occasional call back for design/build work. The service is a good fit for Cording’s clients and his business.